Allydvm - Vet clinic optimization and Client Communications : LifeLearn Inc.
On average, veterinary practices have over 1,091 active patients who are missing reminders, and 19 chances per day to schedule additional appointments for those patients. Adding even just one extra appointment per day will result in better financial outcomes for your practice, and greater health outcomes for your patients. 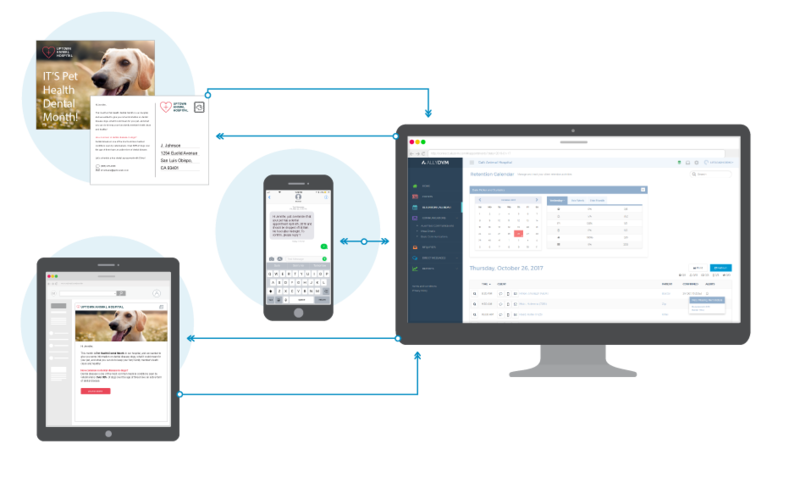 ALLYDVM‘s sophisticated communication and retention system is one of the veterinary industry’s most powerful software solutions for improving client communications, engagement, and patient health. 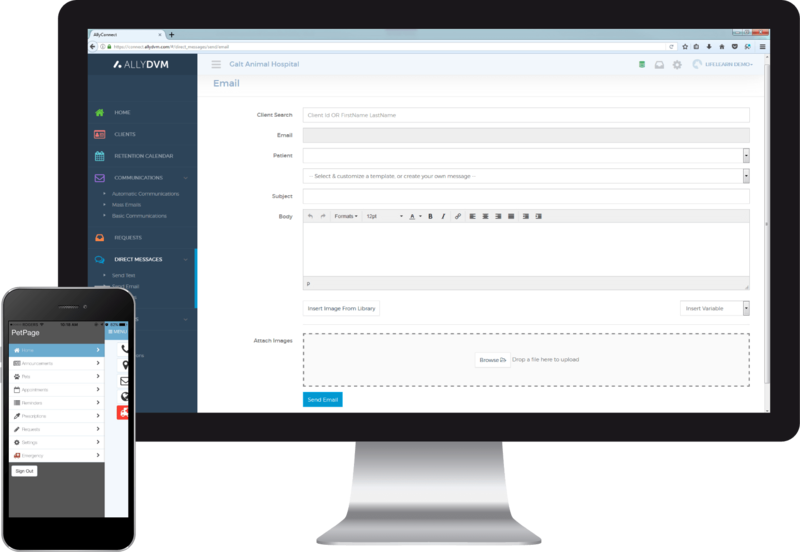 The ALLYDVM solution includes a unique Retention Calendar, a powerful Client Communications system, a convenient client-facing Mobile App and an optional, engaging Loyalty Program. According to research published in Veterinary Advantage, one group of practices saw a 17.9% drop in missed appointments and $59,000 in additional revenue over nine months after using ALLYDVM. ALLYDVM far exceeds other client communication systems with automated email, text, and postcard communications, ensuring the most accurate client contact information, and timely follow-up reminders. ALLYDVM empowers pet owners to be more involved in their pet’s health. With its powerful sync functionality, clients get access to pet health records, and a direct line of communication with your practice, so you can stay up to date and in touch with your clients. ALLYDVM’s industry-leading Retention Calendar automatically tracks missed reminders and appointment opportunities, and built-in prompts make it much easier for your staff to book past-due appointments. Add ALLYDVM’s Loyalty Program to keep clients engaged and returning to your practice. Simply pick the rules and the reward that works for your practice setting it up once and reward your clients for their continued loyalty. Choose the option that best suits your practice needs. Are you a member of OVMA and CVMA? Members save 10% off the monthly purchase price. See for yourself how ALLYDVM can optimize your client communications and clinic profitability.